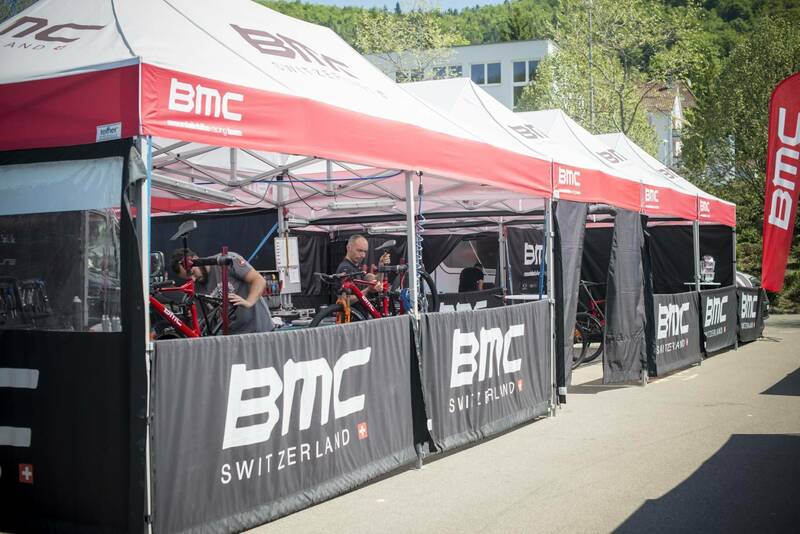 BMC always have their tents set up for race day, not just for the mechanics but for the riders too. The mechanics take just about everything! 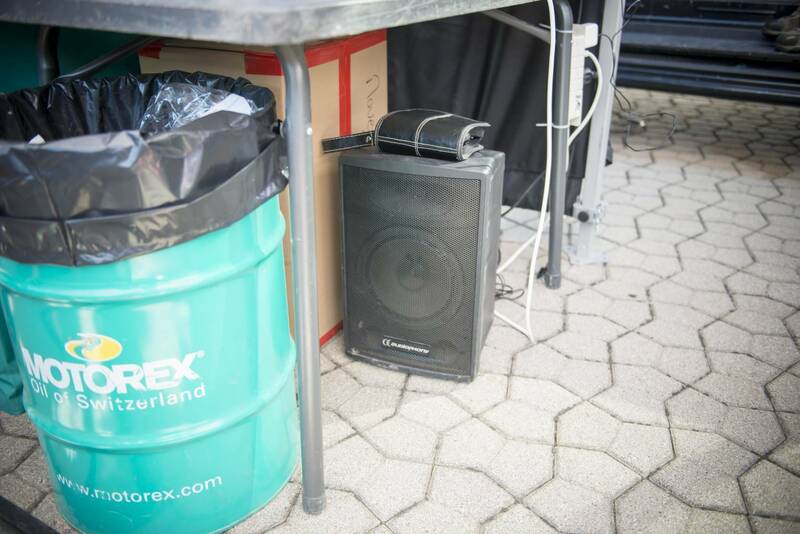 All the wheels are prepped, ready to go on bikes or to the tech zone. Spart posts and droppers, ready for crash replacement, or exchange. Drills are frequently used for the through-axles - with a hex bit not a drill bit! 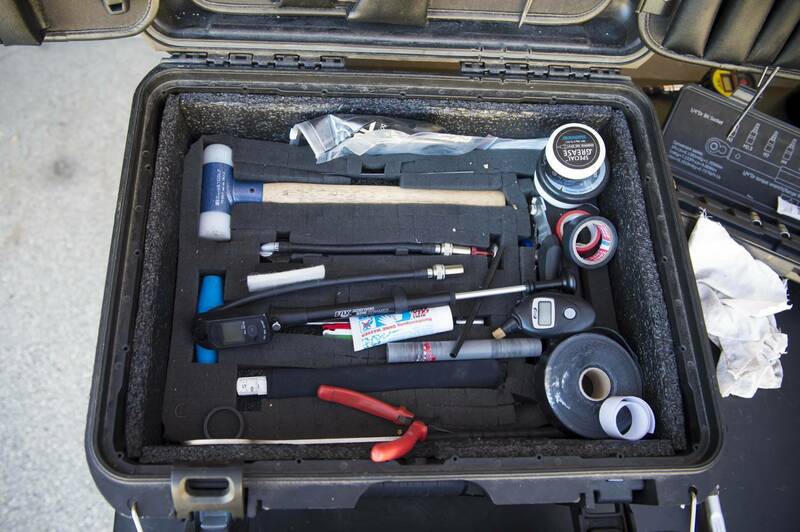 A mallet, digital pressure gauge, digital shock pump, specific greases, tapes, a ruler, hub spacer for travel/cleaning, still more tyre levers and some hand cleaner. And more! Chain whip and cassette tool, knipex pliers, side cutters, needlenose pliers and some scissors. On the bench - some most-used tools. Note how it's mostly allen keys with no ball head? 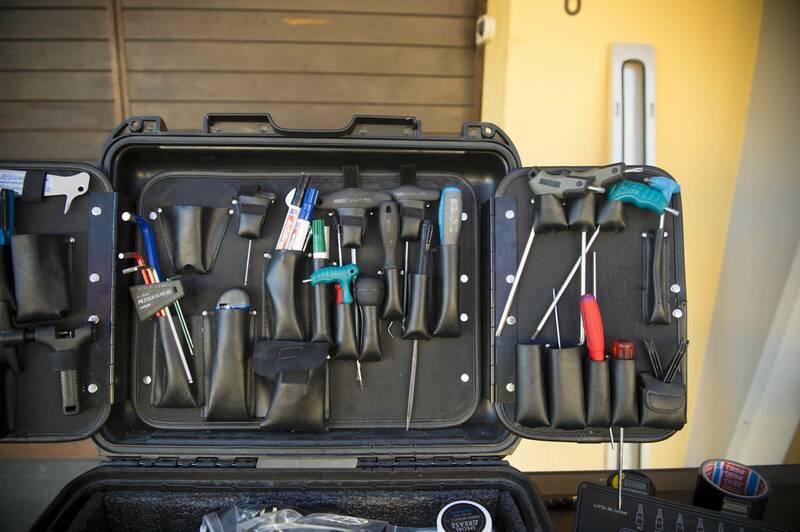 Torx tools, a Di2 plug remover, small parts container, and 2 torque wrenches, no doubt set for two common tasks. 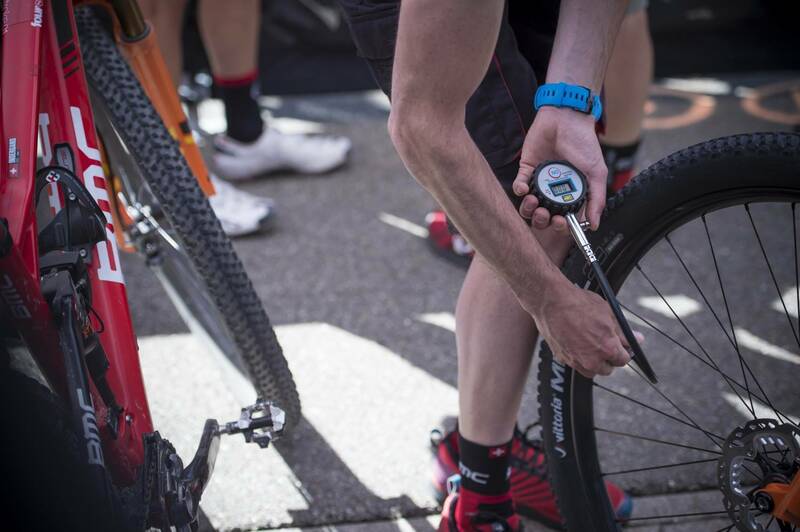 We spoke to the BMC mechanics about their role on at a World Cup mountain bike race. 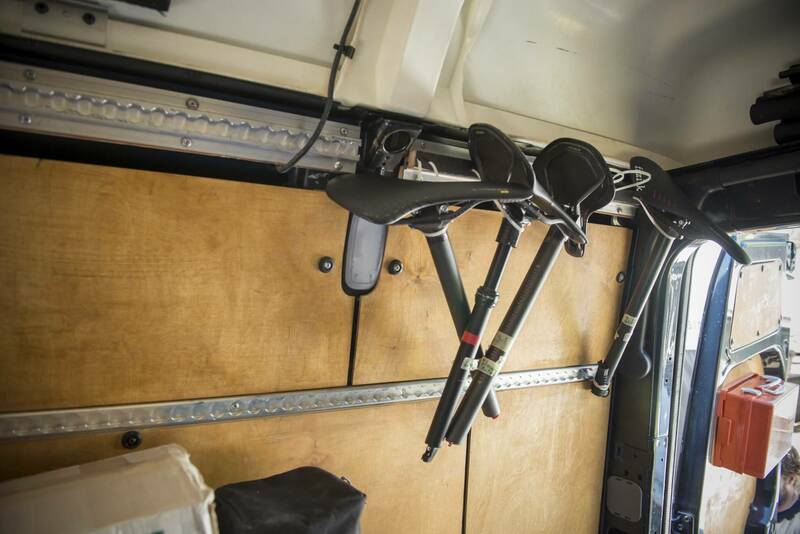 What do you take with you for a day on the trails, or to a bike race? 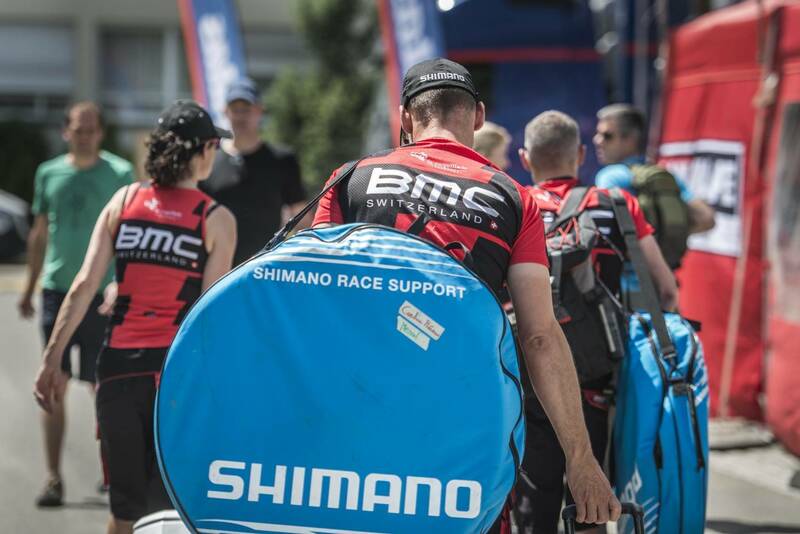 BMC, like any professional team, operate out of a service course, basically a huge depot where they keep the team bikes, spares and vehicles. It's sort of like your ideal garage, times a million. 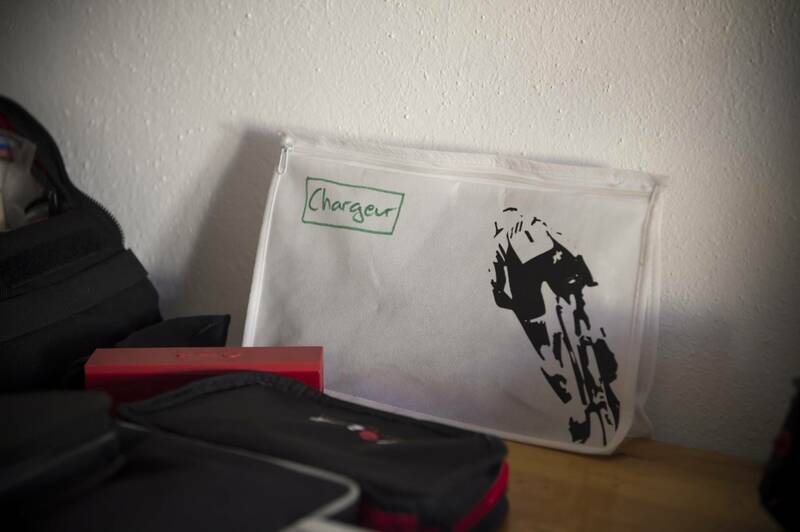 This is where new bikes are built, and everything the team needs for the year is stored. 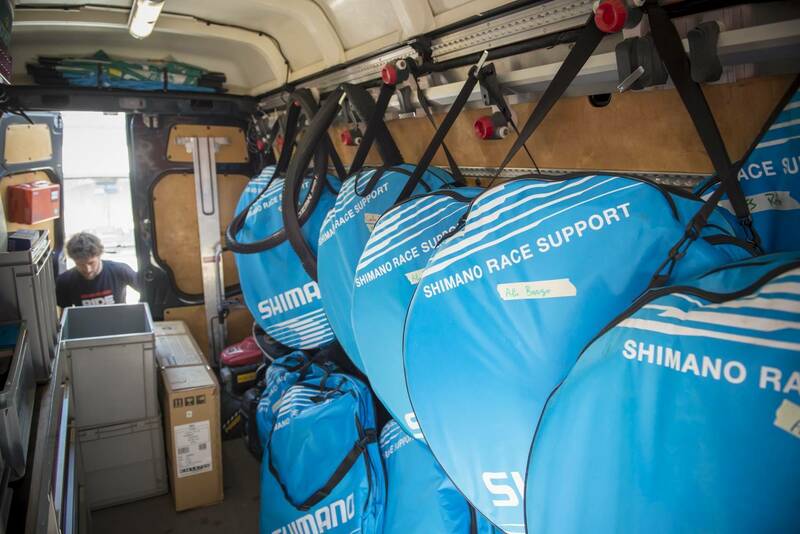 But they can't take that on the road, they need to cary just what they need to the races, and training camps, in the team vehicles. 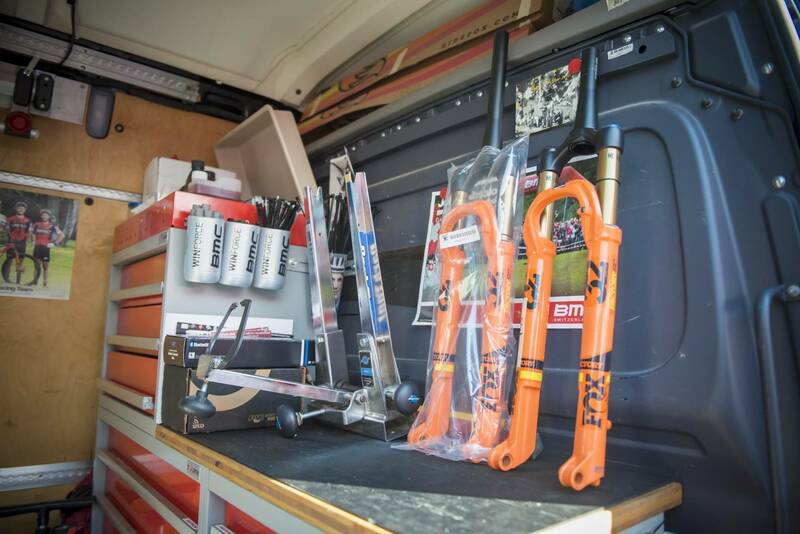 The team vans become a mini service course. 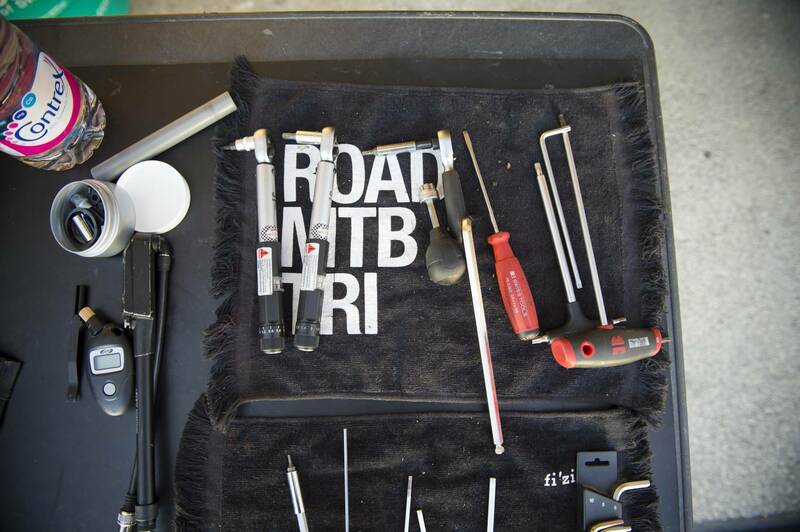 "We don't take everything we have in the service course, but we have at least 1 of everything that makes up a bike. We could build a whole bike for the race. We have a spare frame and all the parts." 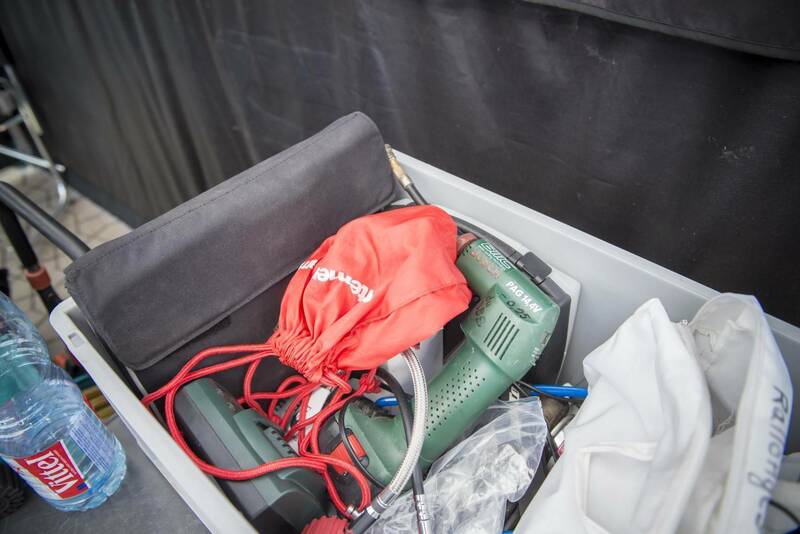 The mechanics arrive in plenty of time to setup the tents, and prep the bikes for the courses, making any adjustments to suit the demands of the course. On the weekend, “normally the bikes are ready when we arrive. We work on tyre pressure with the riders, they see the track and we are here incase they have a flat. We choose the tyres and the pressure. We do it like 3 days before the race, and can also change the chain rings and ratios incase the riders want smaller or bigger," explains Di Natale. "The weather can be our friend or enemy. Normally we know what the weather will do. But sometimes we change everyone's tyres, and then minutes before the start we change again. Or even change them in the feed zone. The rider chooses the tyres they want for the race, but we offer advice. The riders have the last word, so it falls on them! Sometimes we take different tyres to the tech zone and can change them, but in 1 hour and a half, even changing both wheels in less than a minute is too much." As for bikes, the riders can choose between the BMC TE01 our the FS01. Which would you reach for? "It's easier when they race hardtails, laughs Di Natale. "Less set up, less small parts with the suspension. But really the team are using the hardtails less and less, it's only some races they use them for." We tested the BMC Teamelite 02 earlier this year - read our review. It's interesting to hear that the mechanics make a lot of the choices about the tyres, and pressures. The BMC team run Vittoria tyres, which are available in Australia but not overly common. “We don't run superlight tyres, they are quite strong. It's better to have heavier tyres with good tread and sidewalls. If you don't stop at the tech zone you will be faster!" We also tested the BMC FS01 - the same frame the team uses. Read our review here. 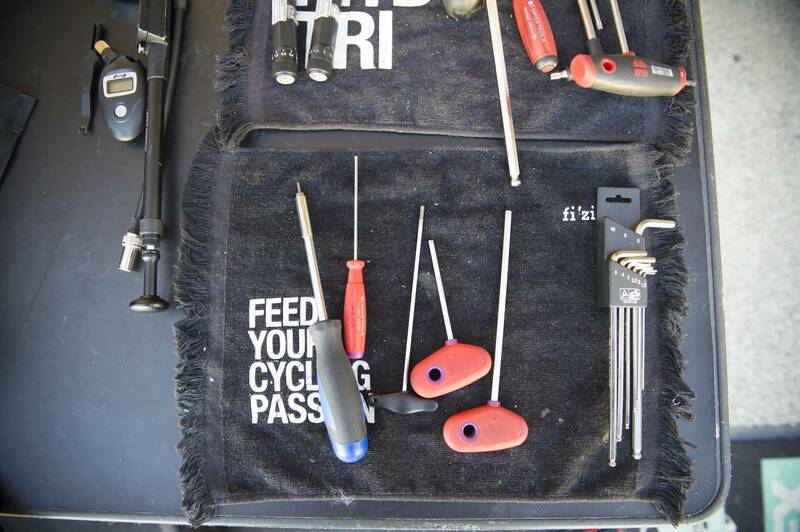 One of the big things you'll notice at a World Cup is the size of the tech/feed zones, and the amount of spares the mechanics and staff have there. Di Natale explains what they take. "We always try to take the minimum, but in the end it's almost everything. 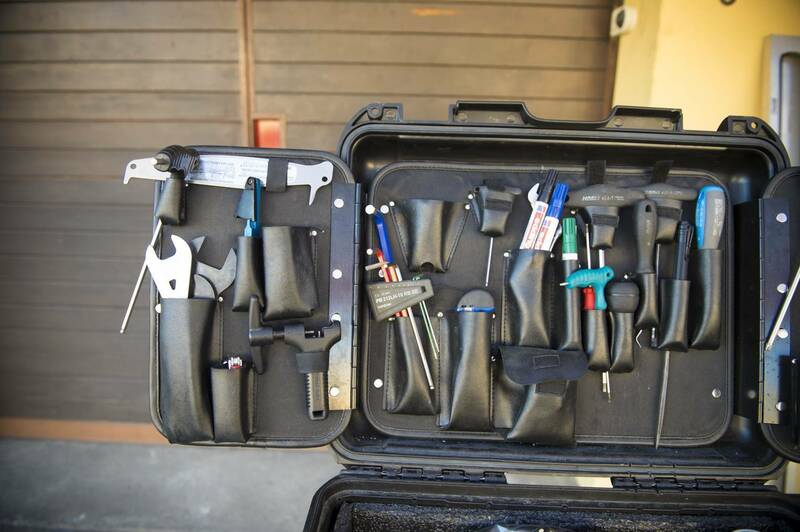 Now we have the torx keys, allen keys, wheel tools, and we use a drill for that. During the race anything can happen, but some things take too long to change. We take everything. Sometimes the rider breaks something that takes a long time to fix, but it's best for them to carry on." 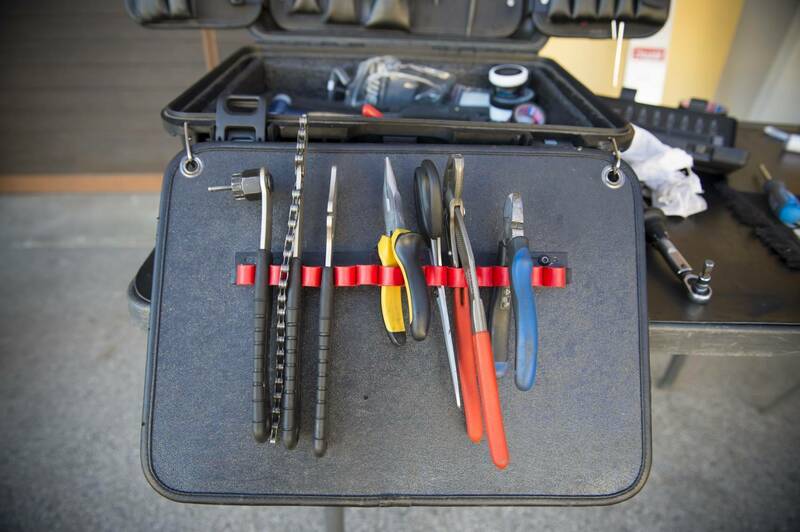 Don't miss our DIY workshop feature in Issue #163, explaining the tools you should focus on when starting to work on your own bike at home. Photos and interview by Phil Gale.